You know the picture — it makes its way around Pinterest and Facebook — displaying lavender drying on a vintage wooden ladder. It is an artistic vision, so much so that I was determined to take such a picture myself. I’ve got the ladder, the lavender, and the camera. 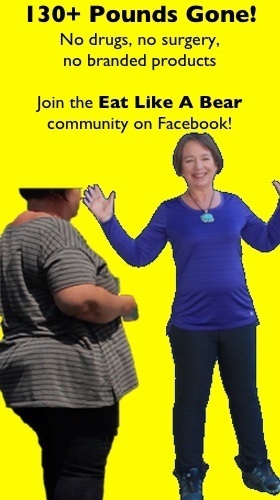 I may take such a picture one of these days just so that my picture flies all over Pinterest and Facebook. In fact, we picked lavender this year and I strongly considered hauling it around to just the right spot on my property for the photo shoot. But alas, I was a bit too tired to dedicate my afternoon to lavender photos and only then to turn to the actual work of drying lavender. The problem with the artistic ladder photo is that drying lavender on a vintage ladder in the middle of your garden isn’t actually the best way to dry lavender. 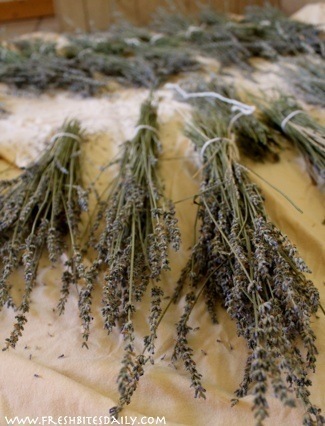 If you’re interested in drying lavender, be prepared to do so in a way that gives you the best return on your time. Vintage ladders and particularly outside garden beds are usually not involved. If you are harvesting lavender yourself, your best bet is to harvest when the lavender is in bloom (when the lavender flower is fresh and has not dried on the plant) and in the morning after the dew has dried on the plant but before it gets too hot. 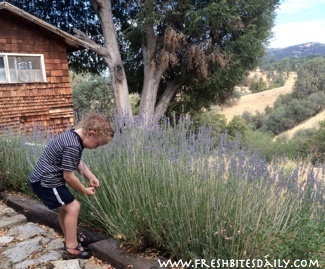 You don’t want your lavender to be wet from dew or even from a night time water sprinkler. It will take longer to dry and you will risk mold. You may miss just the right moment, trying to capture all of those fresh buds, and it is not my point to make you obsessive. You can still harvest, but morning during bloom will optimize the oils in your crop. Cut the lavender blooms off in long stems so that you can bundle and tie them. In fact, if your lavender plant is prolific, you can grab a bundle in your hand, cut the bundle with pruners and then tie up your bundle, all in one step. This past season our lavender was spindly from California’s drought. I clipped the flower stems and piled them on a tray to bundle them later. If you are harvesting your own lavender, harvest in the morning after the dew has dried when the plant is in bloom. Cut the lavender and tie into small bundles, about two inches thick. Hang bundles upside down in a cool, dark, and dust-free space. Remove flowers from stems and store in a glass jar with a tight-fitting lid, preferably in a cooler dark pantry. Your next step is to dry your lavender in a cool dark place, away from dusty air. Dust will cling to drying lavender and imagining it drying in your garden on your vintage ladder, you can also imagine the dust magnet that it would become. Your garden is also likely to be hot and bright, conditions that will negatively affect the oil in your plant. There is one other factor to consider with drying lavender: How tightly the bud hangs onto the stem. During the California drought, our lavender has been struggling and ends up being a bit spindly and doesn’t hold onto the stem well. This is not a “premium lavender” situation but, if it’s all you’ve got, I’d harvest it anyway. However, you probably don’t want to hang it up unless you line your floor with a cloth to collect the buds. If you are unsure of how well your lavender will hold up, give one of your bundles a shake and see how easily it lets go of its buds. I’ve actually dried lavender like this on the floor. I turn the bundles over every day or so to allow more even air flow around all of the buds. It was the middle of summer so this task was not as tedious as it sounds — they were dry enough in just a few days to remove from the stems. I removed the buds, spread them on baking sheets, and let the buds dry for another week on their own before jarring them. Once your bundles have dried, take a pleasant evening and remove them from the stems over music or a movie. The quickest technique that I use is to hold the bundle above a baking sheet with the bud end of the bundle pointing down. I place each hand on either side of the bud area and just roll it back and forth in my hands, causing enough friction for the bundle to rain buds onto the baking sheet. I get most of the buds this way and call it a day. You can save the stems for smudging or your upcoming campfires or simply compost them. Place the buds themselves in a jar with a tight-fitting lid and store them in a cool, dark place such as a pantry. Use your lavender to flavor your foods. As a brainstorm, check out our lavender plum ice cream (here) or lavender peach ice cream (here). Simply make a lavender tea (here). Infuse coconut oil for a lavender body oil. 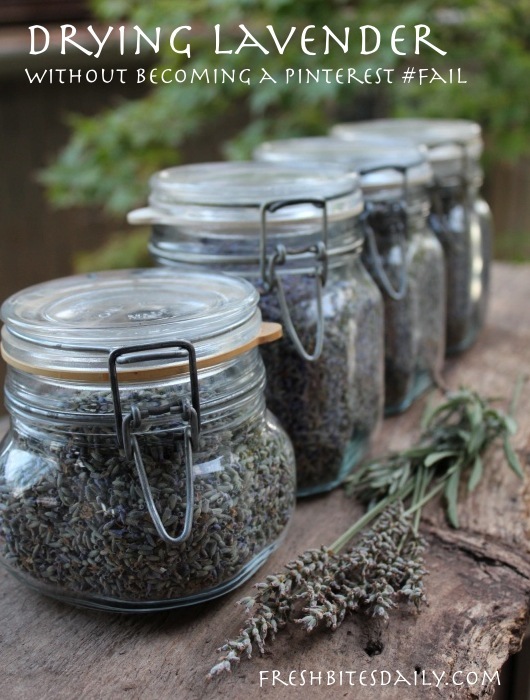 Add lavender buds to potpourri. 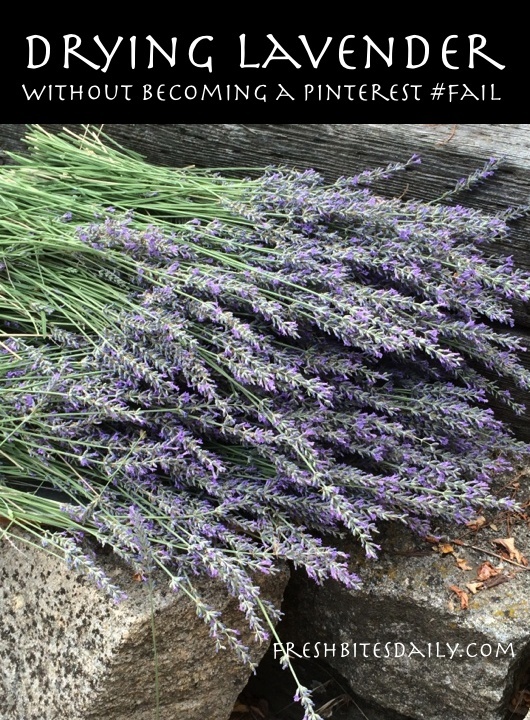 Find more ideas on using lavender in our epic post on the topic (here).